Perfect for Agriculture, Harvesting Season, Tractor, Combine,Rescue,Personal and Professional use. 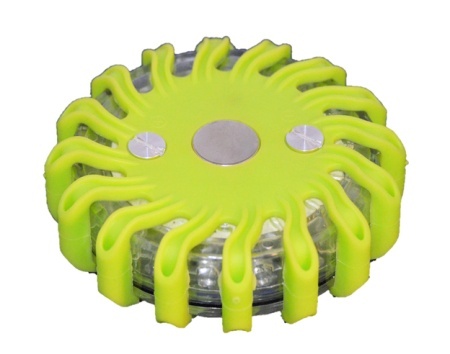 This rechargeable LED POWER FLARES offers so many great benefits. Compared to other road flares, the LED POWER FLARES excels in long-lasting durability. We're talking a crush-proof and corrosion-proof polycarbonate plastic exterior and impact resistant rubber housing. What's more, this LED red safety light offers low maintenance with an internal lithium battery that's rechargeable so there are no costly batteries or replacement concerns. Portable: Small enough to keep in a saddle bag, tankbag, or even those small underseat storage spaces that most bikes have. Superior Visibility: Superbright LED array can be seen for miles at night, but is bright enough to provide you extra protection during the day as well. Easy to use: Press the button for 2 secondsto light it up, and press again for flashing mode.